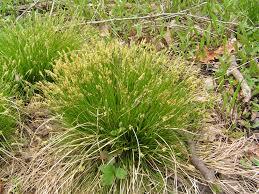 Eastern Woodland Sedge is a highly versatile, low maintenance accent plant. Long glossy bright green triangular leaves, up to eight inches long with an indention through the center, extend with an arch from the middle of the plant. They are native to the east coast and can be found in a variety of environments including woodland clearings, river banks and creek beds, meadows, and thickets. These plants are evergreen to semi-evergreen depending on the zone you live in. They do well under moderate foot traffic, and can also thrive in compact soils. 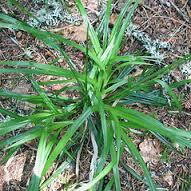 With a plant hardiness of USDA zones 3 – 9, Woodland Sedge can be grown nearly anywhere. 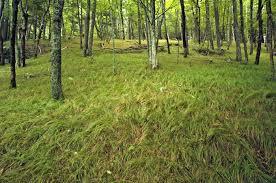 Eastern Woodland Sedge are usually planted as ground cover among shade gardens or to help provide erosion control. These plants can tolerate moist to dry soil, full shade to full sun. Mature plants are found to have some drought tolerance. They can be grown in some different soil conditions ranging from clay to rocky soils, and prefer an alkaline pH. They are compact clumping plants that are fast growing. Reaching a total of two feet tall, these plants are typically well balanced, with their width usually matching their height. They flower inconspicuously in early spring. They are excellent pollinators and will draw in butterfly’s wherever they are planted. These plants are recognized as a host plant to the Appalachian Brown and Eyed Brown caterpillars. They also attract a variety of birds including songbirds and turkeys. The leaves and seeds of the Woodland Sedge are a natural food source for a variety of wildlife, though they have been found to be unappetizing to deer, making them excellent choices for deer resistant plantings. From a consistently wet bog to a compact clay soil, these highly adaptable plants make them a great addition to any garden or landscape. Just gorgeous. Love how bright too!